We tailor, modify, and build machines to perform our set of operations safely, precisely, and quickly, with less stress. We built this machine about 1995. 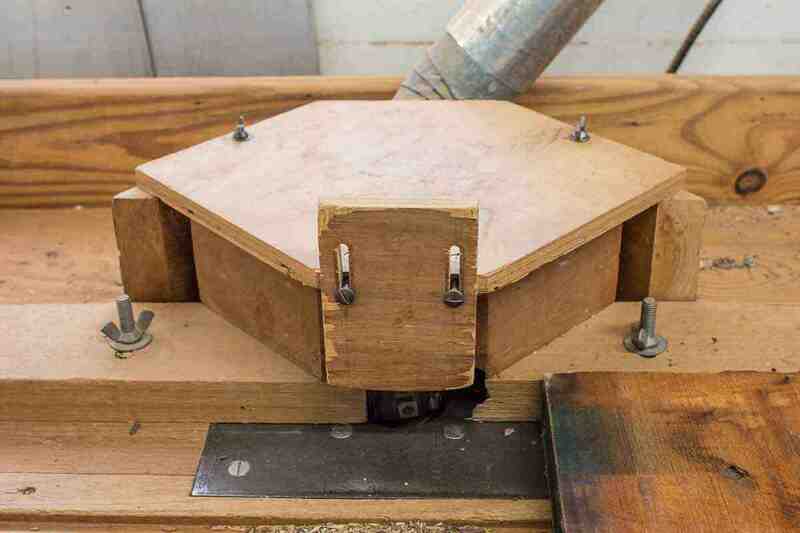 A wooden pulley on a motor drives a sanding belt over a flat platten. We sand straight edges, flat surfaces, and outside curves on the platten. On the end opposite the pulley, we have two "dead heads" (also wooden) of different radii that allow us to shape inside curves. The dead heads and the platten are covered with graphite covered canvas to reduce friction. This machine has a drive pulley, same as that of the edge sander. The belt travels around a large platen--a 3D french curve--on which we can find the area best to sand large inside curves--like chairbacks. Our lumber arrives rough and heavy. On each board, we need a straight edge to begin developing parts. We put a shaper spindle in a long table with offset fences so we can remove 1/8" at a pass. We can put a glue-joint-worthy straight edge on a long, heavy board, making multiple passes without picking it up. We bring parts to true curve on the pattern shaper. We built this two head shaper with folding extension wings to shape parts to true and precise dimension. One head turns clockwise, the other counterclockwise, so we always cut with the grain. 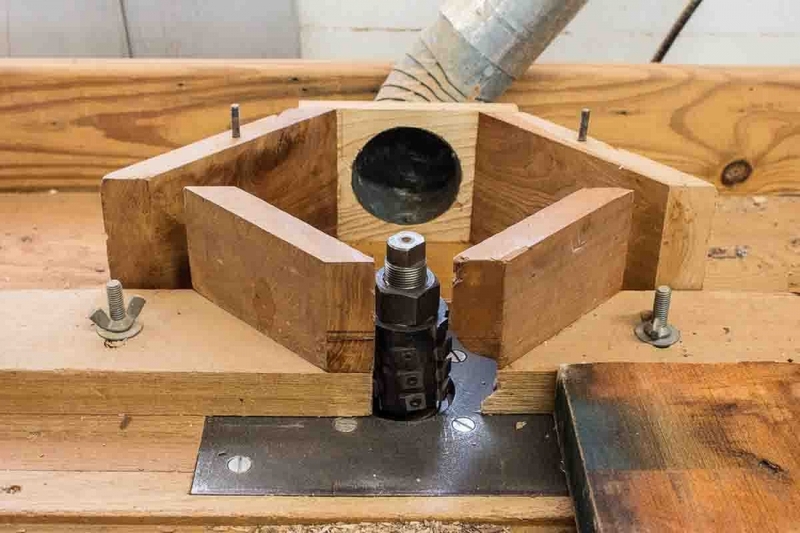 We reworked the top of our Delta table saw, truing the edge of the table to the mitre gauge groove and adding another groove, so the crosscut fence has two guide rails. It is stable and accurate. We built a stop block for accurate cutting to length. With a dedicated rip saw and a dedicated crosscut saw, we are set. The pump sander is a simple, motor driven shaft with inflated drums on each end, giving us two grits at a handling. 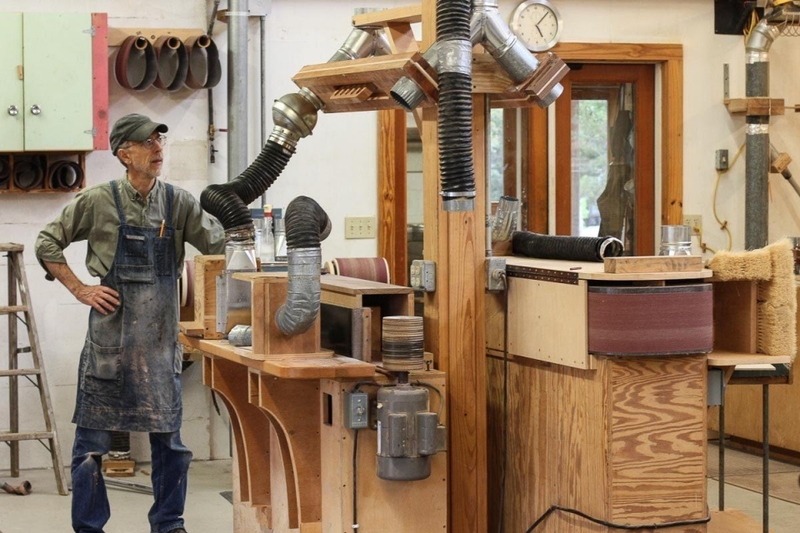 The flexiblity of the drum softens surfaces, making them more tactile, muscular, and sculpted. We use compressed air controlled by a foot pedal to open and close the valves so we concentrate the vacuum on the drum doing the work to better capture the dust. 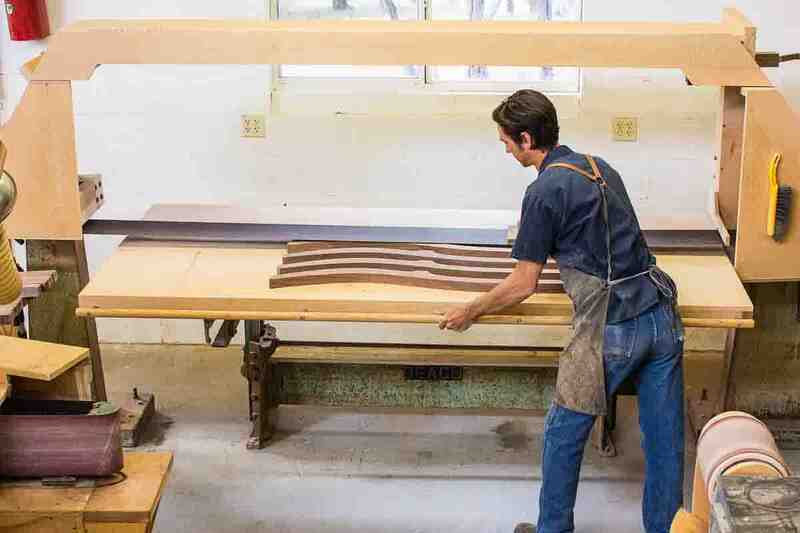 There is no better way to prepare a tabletop than a stroke sander. We rebuilt a vintage one to get more capacity and power and collect more of the dust. By moving a pedestal, we can sand a table top 16 feet long.